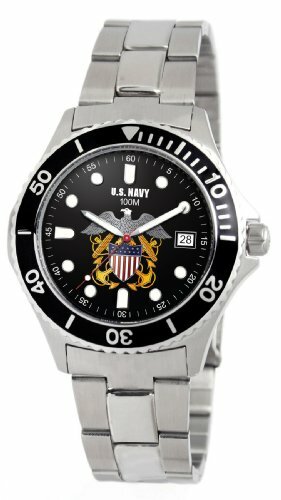 This United States Armed Forces Men’s Navy “Honor” Watch by Ewatchfactory prominently displays the U. S. Navy emblem on the large black embossed dial. Crafted of sturdy stainless steel, this watch has a multi-link adjustable bracelet and features luminescent hands and markers along with a 3-hand analog movement with date function. 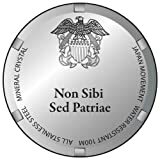 The stainless steel case back also features the branch’s engraved motto.